It is a pleasure welcoming you to Al Dana Universal School of Kuwait. 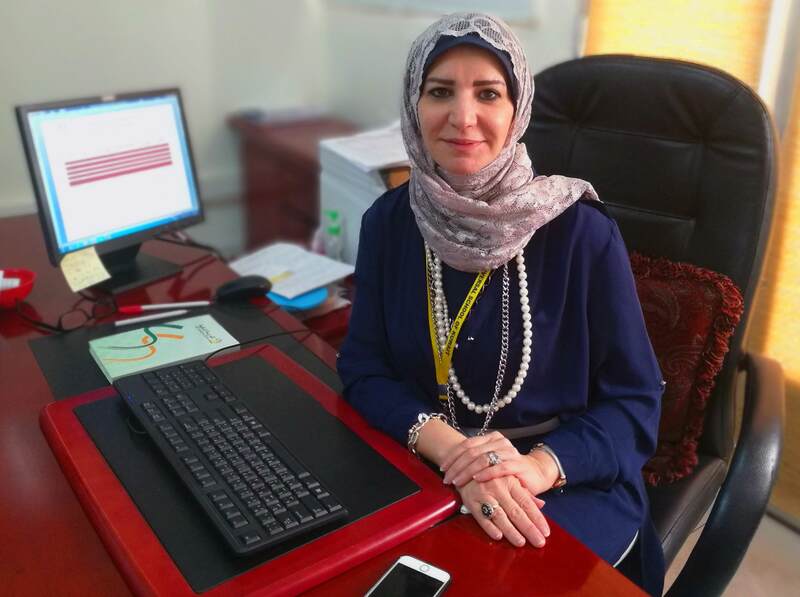 My name is Ms. Samia Ibrahim and I am the KG/ Elementary V Principal. We look forward to working with you during the 2018-2019 academic school year. We believe that you will find our Kindergarten/ Elementary Division offers a great upgrading & changing educational program. We owe this to our ever improving facilities, outstanding students, experienced staff and supportive parents. Educating your children is extremely important now & in the future, with countries continuously changing around the world, and with the advancements of ever-changing digital information age. We want all students, parents, teachers & administrators to work together in creating a “Win-Win” situation to make student learning. ATTENDANCE will be of ultimate importance this year! Too many students last year arrived late on a daily basis with unexcused reasons or didn’t attend at all. In order for your children to assimilate their bilingual education, it’s mandatory for your children to be in school on time, both in the beginning of the day & at the end of the day. So it’s imperative that they are in school all day to be learning at the same pace as their classmates. Statistically, students who are not in school continuously fall behind the rest of their class and this could potentially lower their self-esteem & self-confidence. To reiterate, let’s work as a mutually education team and bring your children in on time to limit the distractions in the classes with the teachers & their students, since all our students are important. It’s imperative that you provide a healthy diet for your children to get the proper nutrition to begin their best learning potential to increase. A time is set aside each day for the students to eat their lunches. No bottles, fizzy drinks, candy & sweets (e.g. Pepsi, Coca Cola, 7Up) are allowed at school.. Chewing gum is strictly prohibited on school premises. Also, you will be receiving monthly newsletters from each grade level as an update of our planning and upcoming events.